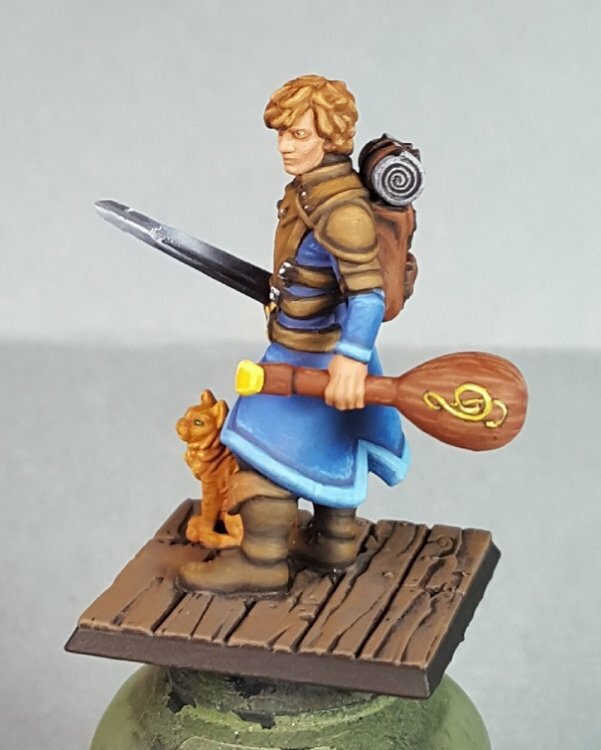 I have a few minis displayed at my local game shop and was contacted a couple weeks ago about doing a custom job for a D&D player's Heroforge mini. This is the first time I've dealt with their Premium plastic, and it is much better than the detail plastic they used before - though there were a lot more little plastic spurs that I didn't entirely erase all trace of. I'm pretty happy with it, and the client is happy, so mission accomplished! 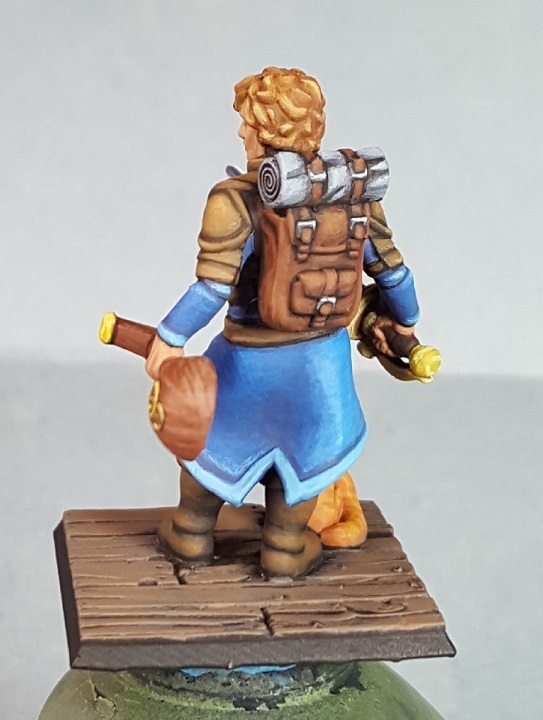 Good to know that the hero forge plastic is getting better. Also good job! Like the color balance alot. There is a nice tabby effect on the cat. He looks great. 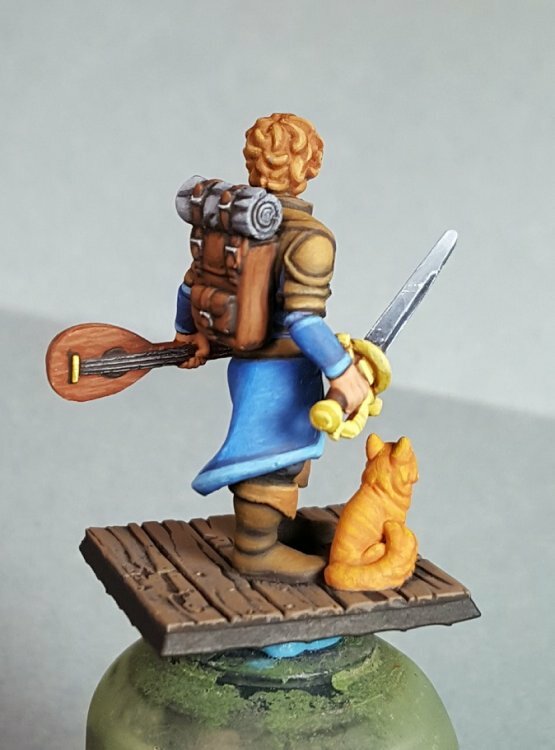 Is the wood grain on the guitar part of the sculpt or did you add that yourself? Nicely painted! I like the setting, the mastermind who sends his minion to earn the money. To be clear, the minion carries a sword. Thanks! I added the wood grain. I've done better grain before I think, but I didn't spend too much time on out because the client also wanted a gold design on the lute. 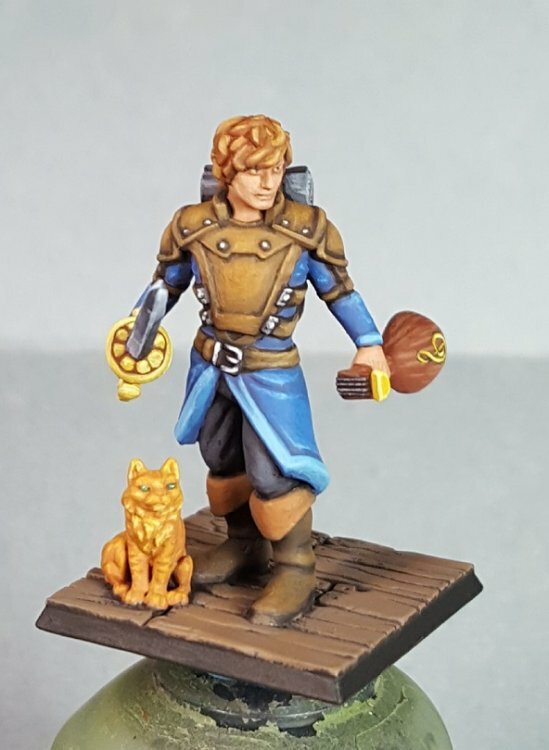 That is the best looking Hero Forge piece I have seen. Your BEAUTIFUL choice of colors & FINE brushwork, of course, influenced my opinion I am sure. VERY WELL DONE! The way you painted him totally accentuates the "sculpting". If I were the client I'd be very happy. Beautiful color scheme! The wood grain and fur texture elevates this Miniature. Gorgeous NMM! That's a very good looking miniature, and you've done a wonderful paint job on him. I have finally been feeling inspired this weekend, although, as usual, my Muse has her own way of doing things. Back in September I posted a thread with some pictures of the first two HeroForge miniatures I had ordered and painted. A couple of days ago, I got a Cigar Box Battles mat for urban terrain, which will be where whatever this project turns out to be takes place. I'm still not sure whether this is going to be a skirmish game of some sort, or a roleplaying game, but there are at least some characters to get started. I Created Art in January! 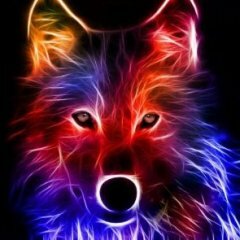 I live! I spent January making lots of little art that piqued my interest to get back into making art frequently again! 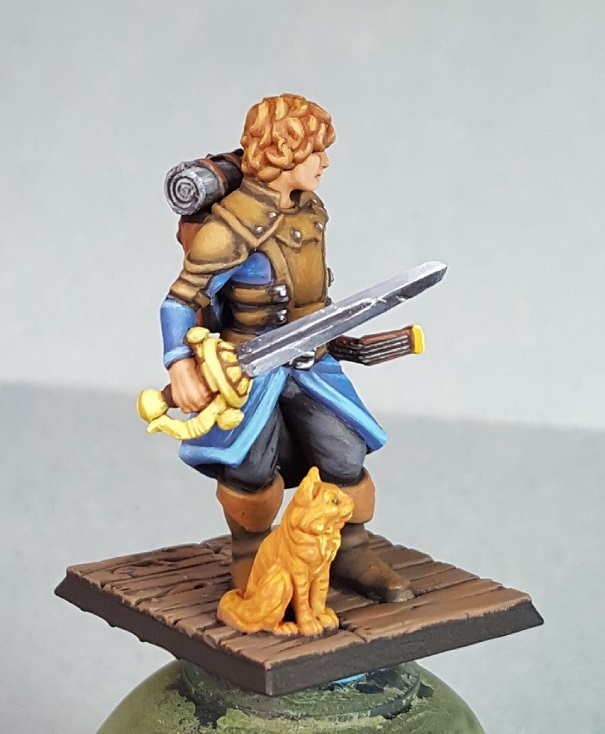 I painted a friend's Heroforge mini. It's quite grainy compared to metal minis but goodness, has it gotten so much better. I also have a rough camera adding additional graininess. It's hard to see here, but the vast majority of his robes are in Leather White. Pure White was only used for the extreme highlights, like on the potion bottle. 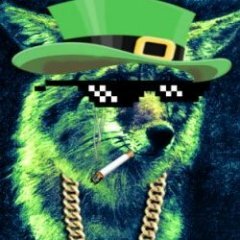 The red also has green in the shadows. I'm learning! I painted our entire set of the Secret Weapon Tablescapes Dungeons and Mines tiles! This was an in progress photo. I realized the moment after I packed everything perfectly back into the boxes that I didn't get a completed photo. Some finished pieces before repacking them up. Bless this sculptor, y'all. I drybrushed my way through all this while rewatching the Office and everything looks heckin' great because of these amazing textures! It also made for a really pretty palette! Lastly (though it was the first in the timeline), I sewed some velvet bags for our new favorite game, The Quacks of Quedlinburg. I think it helped me get back into my art groove because I got excited about a thing, wanted to make something related to it, and already had the skills for it. 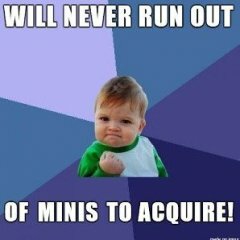 I wanted it and I got it! They're not stellar photos, but a cheap lightbox certainly brought this camera up to mediocre.